"Boughton, Mrs. Helen." 1910-1919. 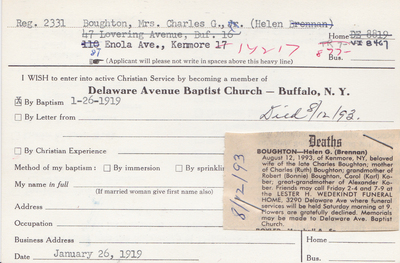 Delaware Avenue Baptist Church Digital Collection. Monroe Fordham Regional History Center, Archives & Special Collections Department, E. H. Butler Library, SUNY Buffalo State.